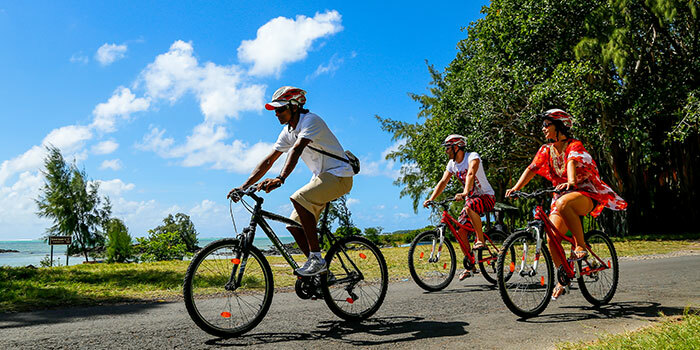 The hotel provides for a free shuttle service to Grand-Baie twice a week, both morning and evening. Guests can take the opportunity to shop and stroll along the lively streets of this seaside hub during the day, or go for a drink at one of its bars in the evening. Grand-Baie is known for its wonderful bay, fashion boutiques, souvenir shops, restaurants and clubs. 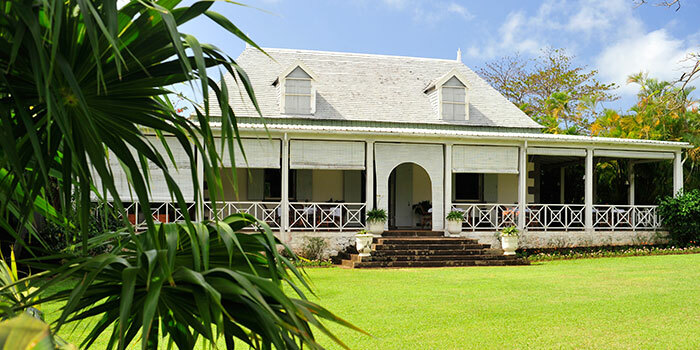 Just outside Goodlands, guests will come across the Demeure Saint Antoine, where they can travel back into the island’s past and relish in fine Mauritian cuisine. Since the Demeure serves old-time recipes in a traditional Mauritian setting made of wood, stone and colonnades, it is the ideal place for history and fine cuisine enthusiasts. 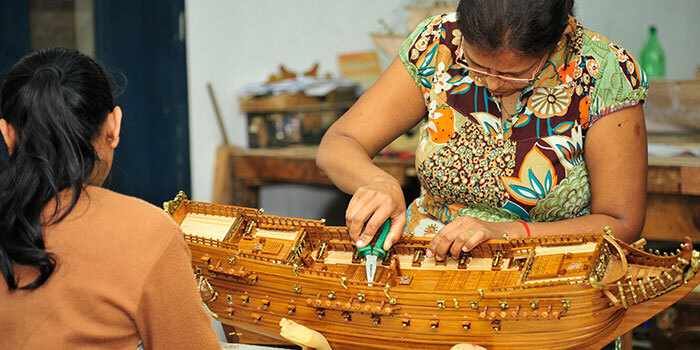 The more curious can visit this 30-year-old model ship factory, which is the biggest on the island, even if they do not intend to bring one home. Founded by three friends passionate about sailing, it features craftwork made from the best-quality wood for maximum lifespan. Some of the most famous purchasers include Alain Delon, Catherine Deneuve and Gérard Depardieu. Escorted by a member of the hotel staff, guests can take a walk to Anjoo’s house to taste local specialities. There, they will experience the legendary Mauritian hospitality and appreciate homemade delicacies in a typical house. This is a unique occasion to share a meal at a Mauritian lady’s house while watching her prepare authentic Mauritian dishes. A walk in the village of Goodlands is a must for every guest at Veranda Paul et Virginie, especially if they want to experience Mauritian folklore. 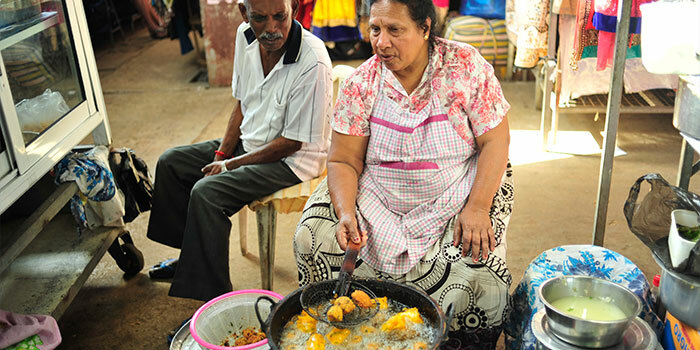 As they walk through the vegetable market, visit a Tamil temple, stop by street vendors to taste locally-made fritters, they will embrace the place’s buzzing atmosphere. More activities and discoveries await visitors who choose to settle in the village of Grand Gaube, including seaplane rides (take-off at the hotel), fish trap removal with a local fisherman, private cruise on the hotel’s catamaran… and many more surprises! 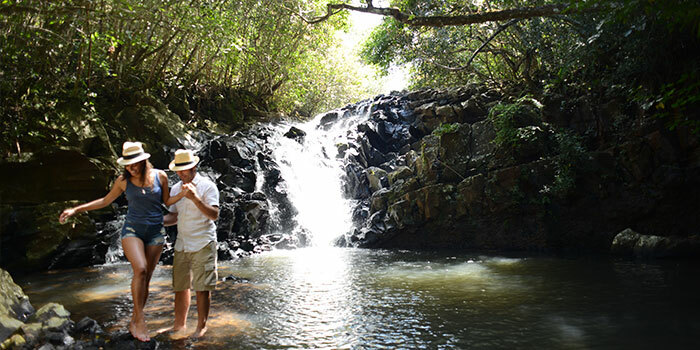 Guests staying at one Heritage Resorts hotels or villas will benefit from privileged access to the 1300-hectare nature reserve, known as Frederica. At the heart of this forest, visitors can indulge in a whole list of green activities, which has recently been extended. 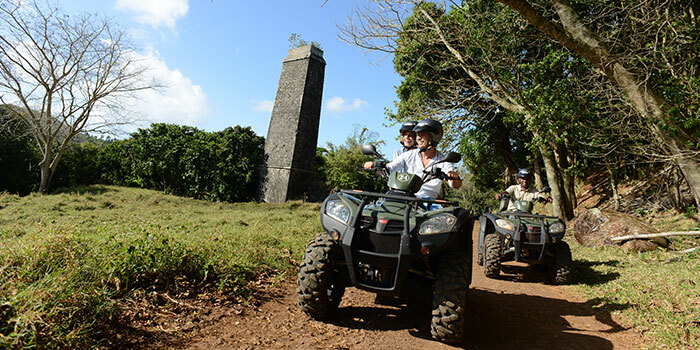 The Discovery trail is a two-hour quad-bike, buggy or 4X4 drive. Visitors can choose between two routes: Dalsing and Goyaves. Sentier Dalsing is more suitable for unpractised drivers, who start their journey on a fairly flat path through sugar canes, then drive past a fish pond and the ruins of Frederica’s old sugar mill; they finally stop to refresh at L’Exemple Waterfall before returning. With steeper slopes, Sentier Goyaves will better suit seasoned drivers. The highlights of this exploration are the tropical vegetation, the endemic birds, breath-taking views and Hirondelles Waterfall. As the name suggests, Adventure trail is made for the adventurous type! With a combination of trekking and motor sports (quad-bike or buggy), this three-hour-and-a-half trail leads you deep into Frederica Nature Reserve, along unbeaten paths. Once they have crossed the sugar cane fields and Dalsing plains, excursionists make their way through the wooded hills to discover hidden lands. After a short trek, a pure gem of nature unfolds in front of the explorers’ eyes: the fabulous Quintré Waterfall. Note that all visits are made with guides, who have been trained by the Mauritian Wildlife Foundation and hold a first-aid certificate. The Night Safari is a two-hour-and-a-half 4X4 drive into a unique and preserved landscape, which takes place at twilight. It allows visitors to watch nature’s awakening as the sun disappears. From a panoramic viewpoint, they can gaze upon one of the most beautiful views of the island under the golden glow of the setting sun, and observe animals coming out of their hiding place: stags, wild boars, bats, to name just a few. The visit ends up at a cosy lodge, where fresh drinks and appetizers are shared around a campfire, in a friendly atmosphere. Frederica offers alternatives to the traditional nature trek with a selection of themed excursions. Two different concepts are available: Photo Safari and Archery. Photo Safari includes a two-hour trek on the trail of rare and endemic species. Escorted by a passionate photographer and guide, trekkers will venture off the beaten tracks to observe Mauritian wildlife and take priceless pictures. Frederica is one of the few places on the island to shelter three endangered bird species: the Mauritius Kestrel, the Echo Parakeet and the Pink Pigeon. 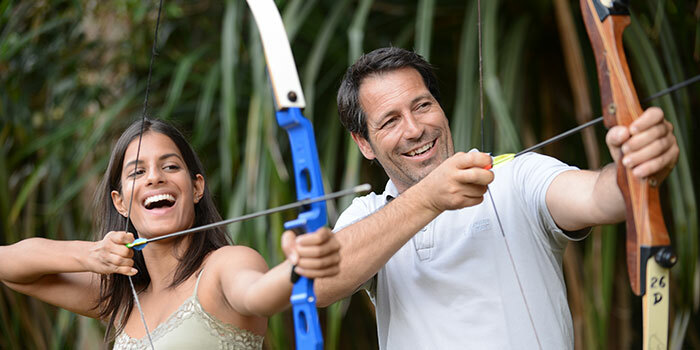 Featuring a set of ten targets at the heart of the reserve, the Archery course welcomes both beginners and practised archers on a two-hour trek. 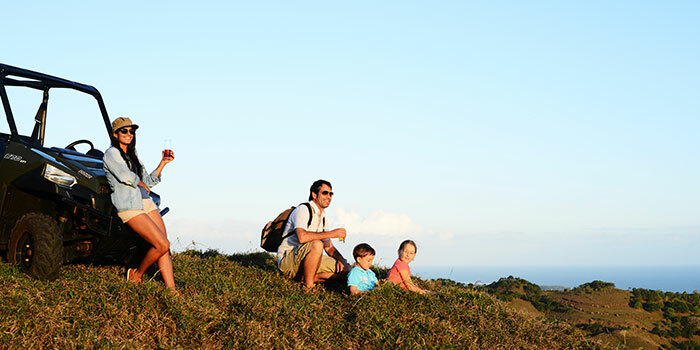 Children are most welcome in Frederica Nature Reserve! 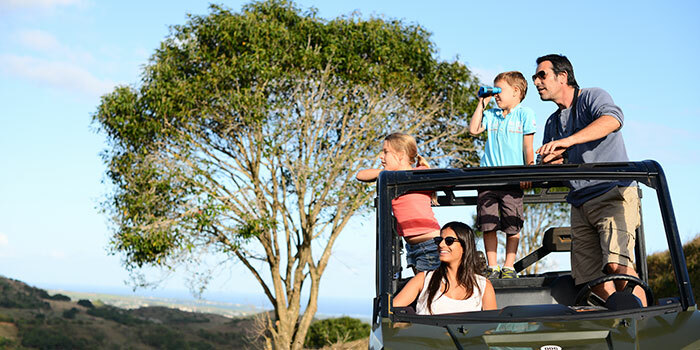 4X4 and buggy rides are ideal for families to experience the beauty of Mauritian wildlife. Quad-bikes are limited to drivers over 16 and passengers over 12 (double quad). Children can get on buggies as from 5, and there is no age limit on the 4X4s!